The difference with Clear Aligners before and after stages can be seen clearly. Invisible braces or simply braces is the convenient way for teeth straightening. Almost all type malocclusions can be corrected by braces. 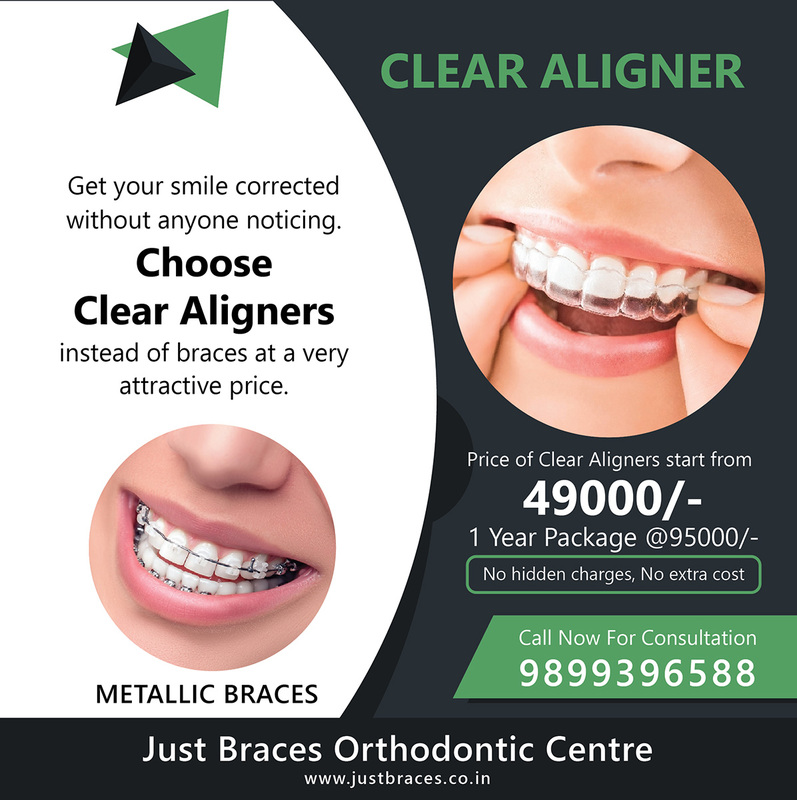 Aligners working system is completely different from conventional braces but the ultimate result is same i.e. to get straighten teeth. The basic difference between braces and aligners is, braces apply a pull force on teeth that move the teeth as per needs while aligners gradually move the teeth by pushing them into an ideal position. Apart from just braces in which metallic/ceramic wires are used in the treatment, there is an alternative Clear Braces which also corrects spacing, crowding, overjet, deepbite, underbite and other mal-aligned teeth are aesthetically straighten with clear or invisible braces. Spaces in teeth are common and can be seen easily. To fill this gap or to aligner teeth in such a way so the gaps could be filled clear aligners are there. They work effectively in teeth spaces cases and same the results come. Alignwise 32 Watts Clear Aligners have proven it. Teeth become crowded when they do not have sufficient space to come properly, therefore, teeth come in improper positions. Your crooked teeth can be corrected by wearing a number of invisible braces. With 32 Watts Clear Aligners crowded teeth can be aligned in the ideal position in predicted time. Read More: How to Straighten Your Teeth without Braces? What are the Other Options? When the upper front teeth extend out too far over the lower front teeth, an overbite occurs and when the upper teeth seem to be forwardly protruded it become an overjet malocclusion. There are many severe oral problems that occur due to overjet teeth like unnatural oral look, jaw pain, unhealthy gums and poor bite. You may take 32 Watts clear aligners to correct overbite/overjet. Teeth are said to be having a crossbite when the upper and lower teeth are irregularly placed. Crossbite can impede bite function and may cause painful jaw movement, Alignwise 32 watts clear aligners can correct this condition, creating an attractive and healthier smile. Read More: What Are The Natural Ways To Prevent Crooked Teeth? Your mal-aligned teeth can be corrected by taking an orthodontic treatment. There are some treatments like metallic/ceramic braces, aligners, retainers and other dental appliances used to fix crooked teeth. Alignwise 32 Watts Clear Aligner is the emerging treatment in orthodontistry. 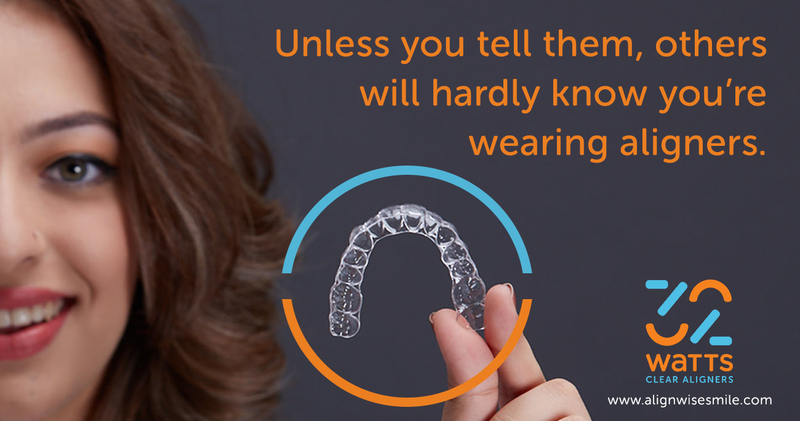 Aligners are clear, transparent, removable custom-made plastic trays that snugly fit over the teeth.